This pretty digital collage sheet is perfect for all your French inspired craft projects. 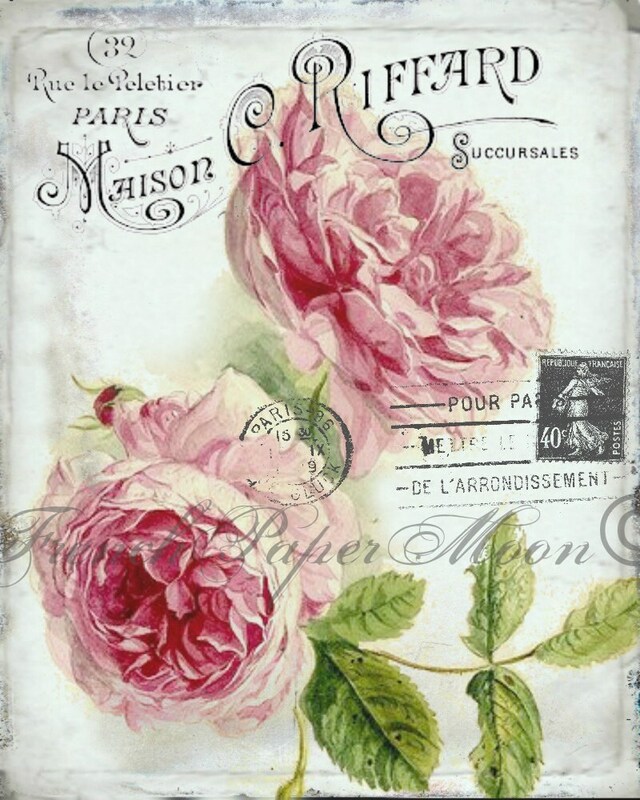 It features two oversized pink cottage roses with vibrant green stems and leaves. 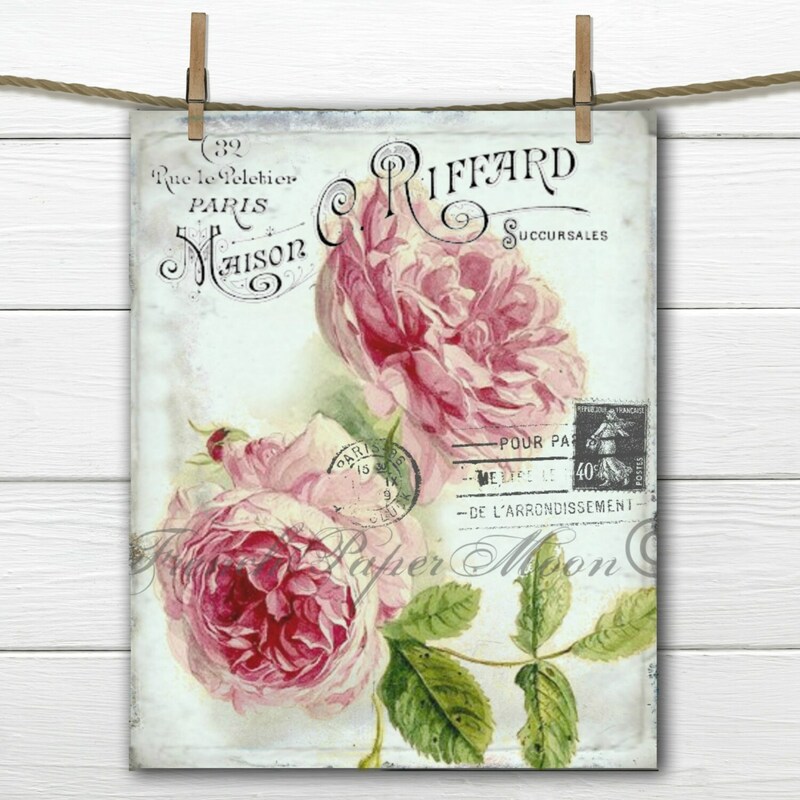 Overlaid French text and postage stamp markings gives it a vintage feel. Perfect for jewelry making, scrapbooking pages, recipes cards – any shabby chic, DIY project. You will receive two 8x10 300 dpi JPEG images, one reversed. Instant Download. Handmade in the USA.